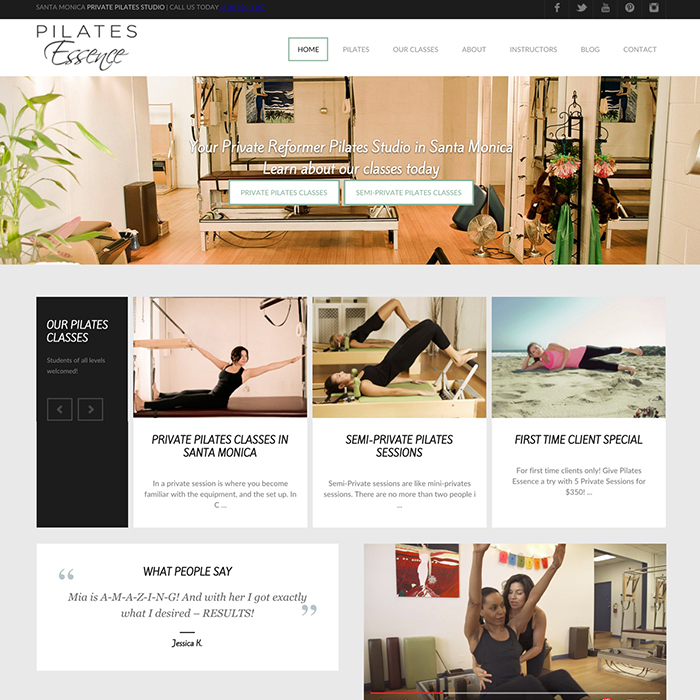 This is the second design that we’ve done for Pilates Essence, a private classical reformer pilates studio in Santa Monica. We updated the studio do a beautiful responsive website. Customers can view class pricing and purchase packages through PayPal.